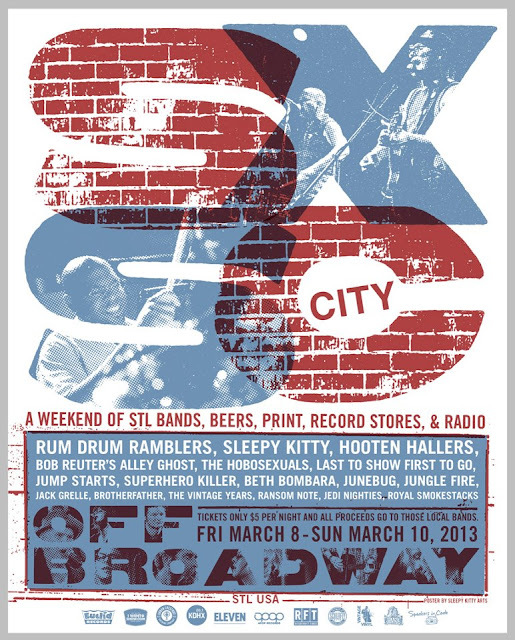 The first, and hopefully annual, South By South City begins Friday at Off Broadway, an event pulled together by club owner Steve Pohlman. Four days of local music (it has been extended to Monday as well), and it's only $5. A good idea, we think. Better than, say, allowing small knives on planes or sending Dennis Rodman to North Korea (or, allowing Dennis Rodman on a plane with a small knife). The full schedule can be found here, but let's celebrate early with a tune from Sleepy Kitty, who will perform on Friday.